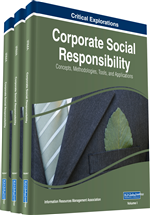 Corporate sustainability (CS) is becoming a strategic focus for large corporations globally. This chapter compares CS reporting in the Europe and MENA regions. A content analysis of the CS reports from large corporations in Europe and the MENA region is presented to explore the themes covered in their sustainability reports. More large corporations in Europe have been reporting CS longer than those in the MENA region, and more large corporations in the developed countries of Europe as compared to MENA region publish CS reports. In general, CS reporting in the MENA region and developing European countries is in its infancy. There is evidence of leadership structures being put in place to ensure that the board and senior management are involved in sustainable strategy development and are incentivized to monitor and ensure implementation of that strategy through financial rewards. The corporate sustainability (CS) agenda, which is rooted in sustainable development, is becoming a strategic focus for large corporations globally. Since the launch of the United Nations (UN) Global Compact in 2000, corporations in both developed and developing economies have been working towards comprehensive sustainability – from the boardroom to the operations and throughout the supply chain. A CS report is a powerful means for a company to demonstrate to its stakeholders, regulators, potential investors, lenders, rating agencies, and Non-Government Organizations (NGOs) how the company is performing to meet the sustainability goals. In 2013, a total of 72% of the Standard & Poors (S&P) Index companies published CS reports (Governance & Accountability Institute, 2014). The number of large corporations that publish CS reports is growing in European developing economies and the Middle East and North Africa (MENA) countries. Very few small to medium enterprises (SMEs) globally publish CS reports. However, by practicing sustainability, all organizations including multi-national corporations, SMEs, governments, NGOs, and non-profit social organizations can contribute to sustainable development, that “meets the needs of the present without compromising the ability of future generations to meet their own needs” (Bruntland Report, 1987). The global sustainable development is based on the systems thinking model of inter-dependence between products, services, profits, people, and planet. CS has evolved from the earlier concepts of corporate social responsibility (CSR) or corporate citizenship (Kraus & Britzelmaier, 2012). Corporate Chief Executive Officers (CEOs) ensure that board and senior management are involved in sustainable strategy development and are incentivized to monitor and ensure implementation of that strategy through financial rewards (Klettner et al., 2014).CS includes economic, environmental, and social issues together with consideration for intra- and inter-generational equity. The economic growth and its impact on environment and society have to be balanced through a triple bottom line- financial, environmental and social (Hutchins & Sutherland, 2008). CS involves greening the boardroom (Shehadi et al., 2013). The nature of corporate governance has an influence on sustainability management at a firm. Dispersed corporate ownership is common in the USA and the United Kingdom (UK), but concentrated ownership is common in continental Europe and the MENA region (Enriques & Volpin, 2007). The MENA region has more emerging economies than Europe, and is dominated by family and state-owned enterprises where, historically, companies had their own practices addressing accountability and social responsibility. No global sustainability frameworks were available until the UN Global Compact was launched in 2000. The Arabic word “Hawkamah” for governance is becoming synonymous with greater accountability and transparency in the boardroom, thus leading to a change from share-holder-centric to board-centric governance in the MENA region. The “Hawkamah” institute offers a groundbreaking development for institution building, corporate sector reform, good governance, financial market development, investment and growth in the MENA region and Central Asia (Hawkamah, 2014). CS management is specific in an industry sector and geographical context. For example, energy sector sustainability management requires different practices than those required for the mining sector. Customers, institutional investors, and NGOs routinely request information regarding sustainability practices from a firm. The stakeholders want to know about an organization’s sustainability performance and regarding climate change, resource scarcity, and socially responsible investing. As businesses face more restrictions on the materials they use and emissions they produce from manufacturing operations, management must continuously balance the risk and compliance. Managers have to ensure their supply chain is responsible while simultaneously achieving financial and sustainability metrics. Environmental taxes and regulations are constantly increasing in number and scope and evolving as more countries introduce them.